DFW continues to be the darling of this economic cycle, and we’ve got the nifty graphs to prove it. By most definitions, today—Aug. 22, 2018—marks the longest running bull market on record, beating the tech boom of the 1990s. From the S&P low of 676 on March 9, 2009, this cycle is 3,453 days old. 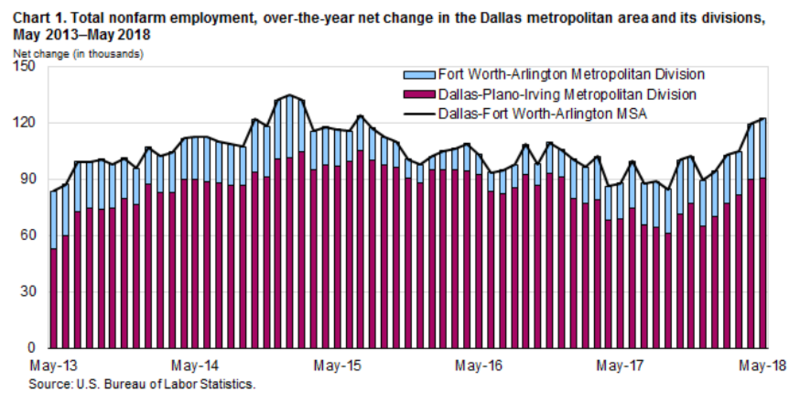 Looking beyond the stock market and drilling down into factors that indicate economic stability in Dallas-Fort Worth, employment is up, the population continues to swell, consumer spending is up, and—in contrast to past cycles—Dallas is keeping speculative commercial building in check. 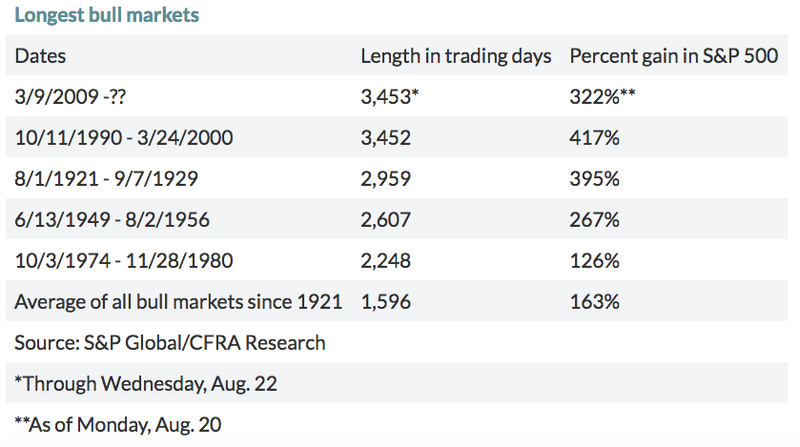 Many experts are taking a calm-your-jets approach, saying that the “longest running bull market” is a relative measurement since not everyone agrees on the semantics of bull and bear markets. But here in North Texas, experts say, today marks another accolade worthy of popping the champagne. Compared to past economic booms, North Texas has diversified its economy. We’re no longer solely an oil and gas town. “People [used to] paint DFW as a dominant energy market. We still have a significant presence in that, but it’s not like the ’80s when so much of our economy was dependent on energy,” Bialas says. CBRE Director of Research and Analytics Robert Kramp says the amount of commercial real estate built on a speculative basis (meaning buildings are constructed without formal commitment from an end user) is also a good indicator of economic stability. 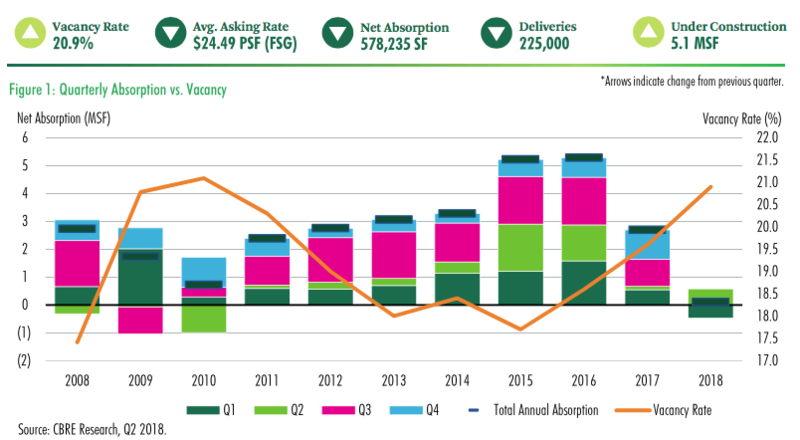 Other related fundamentals—such as rent growth, vacancy rate, and net absorption—also look favorable for North Texas now and in the near-term future, according to CBRE Research. Here’s hoping the outlook remains positive for another 3,453 days.